The historic river town and boyhood home of Mark Twain, Hannibal, Missouri, has always been a favorite of mine, so I was thrilled when CAPS scheduled the Haunted Hannibal church for our Spring Break escapade. Upon arrival to Hannibal, my family and I took a daylight drive past the church. I was awestruck when I laid eyes on this eerie abandon-looking church located just blocks from the main square. The original brick structure was built in the 1870’s by The Congregational Church. In 1880, the Catholic Church took over and renamed it the Immaculate Conception Church. They retained ownership until the 1950’s when it became the American Legion Hall, followed by a dinner theater, and the Hannibal Community Theater. It is now owned by Michael and Jackie Erwin, who graciously permitted us to come in that weekend. 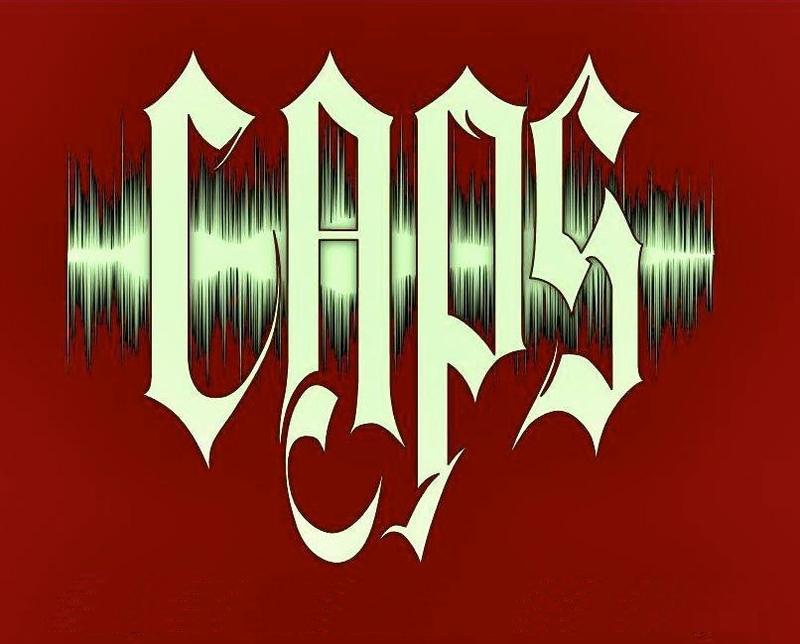 On April 1st, CAPS began the investigation accompanied by our special guests from Texas, Mark (Dave’s twin brother), and Angel (always nice to have in church!). We were met there by Jackie, the owner and Mark, our chaperone guide for the night. They gave us a tour of the building starting on the ground level floor, the main stage area used as the theater. The second floor consisted mainly of a maze of rooms furnished with décor from their Halloween fundraiser. The upper level housed a large bedroom and bathroom with more stairs that wound upward to a loft area overlooking the second floor maze. Some of the paranormal reports consist of a mysterious choir singing along with apparitions, one described as being a cloaked figure. During the tour I encountered problems with my camera and although I switched to my spare, it had the same issues. At one point, Dave thought he heard something rolling on the floor, and I kept hearing footsteps trailing behind us. After we came down from the loft Angel had a sudden onset of chills and felt the floor underneath her feet shaking. We set up our staging area on the ground level, (the room with the stage). I was so anxious to set up the video cameras; I separated from the others and made my way to the makeup room once used by the actors. As I was setting up, I heard a couple of loud noises in the room with me; a great start! While trying to set up my next camera on the second floor, I kind of lost my way in the maze. After retracing my steps, I eventually linked up with the others. Dave said that while he was setting up in the basement, he turned on the Ovilus and it said one word, “demon”! (Perhaps identifying him as the evil twin I joked?) Dave and Trish also reported their K2 meter was pulsating at that time. Trish and I decided to walk around the maze and strangely enough Trish encountered the identical issues with her camera as I had during the tour. As we entered the room set up like a school classroom, Trish heard something akin to a bottle cap being thrown, and we were both suddenly hit by a massive “creepy” chill. After being joined by the others, Angel was hit the intense coldness, and when I felt her hands, they were ice cold. Everyone took a seat in the classroom; I was teacher’s pet sitting in the front. Almost immediately I heard someone whispering in my ear and it was only a couple of minutes later that we all heard a distinct moaning sound, followed by a female singing. After our short respite we went up to the loft, overlooking the maze. Trish and I heard what we thought sounded like a child. After realizing Boo buddy was still active, Dave turned him off; however we still heard a childlike-voice echoing through the loft. Dave started singing a rendition of Amazing Grace, and as Angel joined in the K2 meter she was holding started to light up then returned to zero when she stopped. Every time she started again, the meter responded! After the CAPS choir finished singing, we all heard what sounded like a female humming. It was so loud and clear, that I truly thought it was one of us; it was a colossal surprise for me to learn it was not! Best of all, we caught it on 2 recorders! After we rejoined them at the staging area I left with Trish and Angel to investigate the apartment area. On the way, Angel discussed how she felt as if something had been with her the whole night. I have to admit, her K2 meter seemed to react a lot more with her. In fact mine only went off once, and that was standing next to her. When she walked away it ceased! While in the apartment area, Angel’s K2 meter continued to respond, but mine was dormant the whole time. Although we didn’t have any other profound experiences, Dave did. He overheard a male voice speaking and it wasn’t his brother! They met up with us and we decided to return to the loft. This time we set up the laser grid. Angel heard a sneeze, which no one claimed, so I hope the “God bless you” was not said in vain. Dave also heard a mysterious yell that seem to come from the maze below us. We kept seeing some type of movement directly across from us, but couldn’t make out any distinct shapes. Just after 2am we collected our equipment and did a final Spirit Box session in the Staging Area. I can’t say we had many experiences at that time, perhaps because, like us, the spirits were getting weary. It was 3am when we finally left the church. Perhaps the most interesting experience involved a pair of battery operated candle sticks. We had them set up in the staging area and it seemed every time we returned one of them was on. Each time I turned them off, I checked them by shaking and banging them, yet every time I walked back into that room, one of them was burning again. Despite the chilly reception, I must confess how much I enjoyed this historic Hannibal location; part church, part fun house, perfect for all those spirited merry tricksters. It was gratifying we were able to capture so many disembodied voices, validating we weren’t totally crazy, but perhaps just their April Fools. Front view of the church. This is one of the fun-house rooms on the 2nd floor. This is one of the hallways leading around the maze. This photo oddly had turned out dark in spite of my camera flash. All other photos taken during this time were normal. Here is a happy little cutie pie! The back view of the church. Creepy scene in the maze. Boo Buddy enjoying the classroom. Wonder what he thought of the skull next to him? View of the maze from the loft. Seems to be a very bright orb! Another view of the maze from the loft area. This was taken from the top floor where the apartment is. The basement staircase that leads to the upper floor. The word "demon" was spewed from the Ovilus in this section. 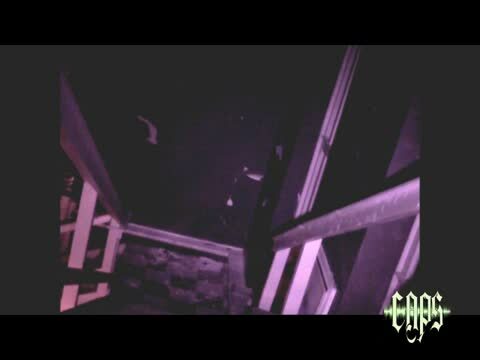 This female voice was captured in the loft area. About 3 seconds in you can hear a sing-songy voice that we think is saying "who cares." This is the moaning sound we heard while we were in the classroom. While we had the spirit box running in the make-up room the word "bible" was said. This was captured on the stage in the basement. As Dave is speaking another voice chimes in. Sounds like a child saying "baby". This was also in the loft. About 2 seconds in a female is humming. We all heard it at the time. While the men were on their own, Dave heard a male voice about 2 seconds in and again at 4 seconds. In the beginning of this clip is the whisper I heard in my ear while sitting in the front of the classroom. Just before wrapping things up for the night we turned on the Spirit box in the stage room. A male voice says "cross". While we were in the apartment area, Trish had turned on her purple laser grid. About 3 seconds in a child says "pretty" just before Angel says it. The second clip is in the kitchen area of the basement. The plastic curtain moves most interestingly.